• The first hole of high school career holed out from 100 yards out to earn an Eagle. • Helped lead the Cavaliers to a First Place win at the Mt. Hood Conference match. 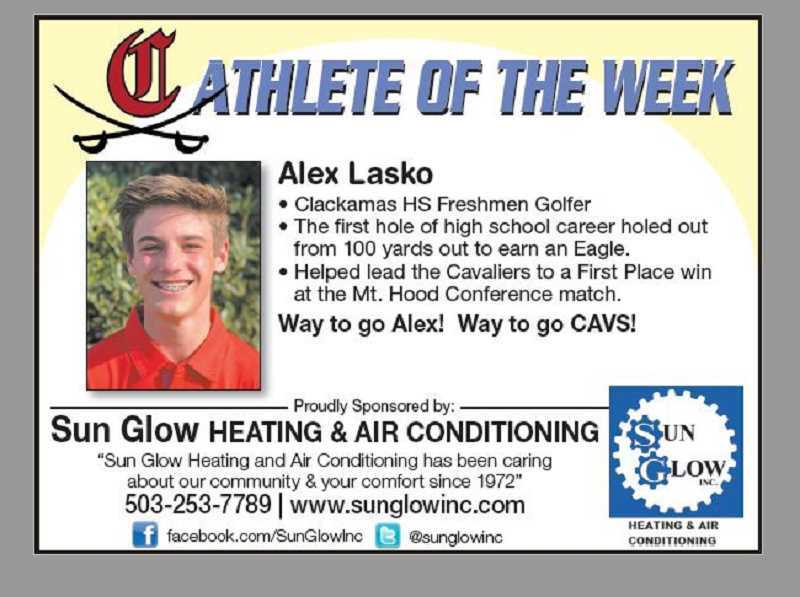 Way to go Alex! Way to go CAVS!